It’s hard to walk into a modern laboratory without seeing a pipette in sight. They’ve become a staple of chemistry, clinical, drug discovery, neuroscience, forensic, and many other life science labs. Pipettes ultimately facilitate the liquid handling process and the correct one will provide you with the results you want and need. There are many factors that go into selecting the correct pipette. If this is your first time purchasing a pipette, this article will really help you narrow down your choices. What does your application involve? One of the most important elements of selecting the right pipette is analyzing the application and the type of process required. Not all pipettes are made equally. Depending on what type of samples you’ll be working with, you have a couple of choices – an air displacement, positive displacement, electronic, multichannel, controller, or transfer pipette. Air displacement. For aqueous samples or standard pipetting applications, an air displacement pipette will give you highly accurate results. In air displacement pipettes, a certain volume of air stays between the piston and the liquid. Positive displacement. 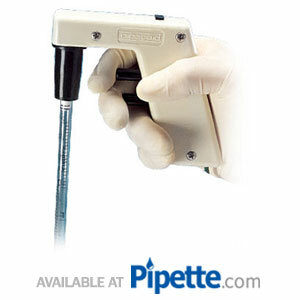 A positive displacement pipette is ideal for radioactive, corrosive, dense, and viscous samples as well as applications like PCR and DNA amplification techniques. In positive displacement pipettes, the piston is in direct contact with the liquid. Electronic. Electronic pipettes are the ergonomic alternative to manual pipettes, they increase productivity and are easy-to-use. They can be used from pipetting plasma to other standard applications. Multichannel. Multichannel pipettes are geared towards lab technicians working with a large amount of samples. For example, those working with 96 and/or 384 well plates will benefit from a multichannel rather than a single channel pipette. Controller. A pipette controller is an alternative to rubber bulb pipettes and transfer pipets, it provides precise aspiration and dispensing of maximum volumes. Used to aspirate liquid from bottle and tubes with the aid of a serological pipette. Disposable transfer pipet. A transfer pipet is a one piece plastic pipette that is the better alternative to Pasteur pipettes as you no longer have to deal with the danger of broken glass or finding the correct bulb. What liquid volume is required? Once you’ve selected what pipette best fits your application, the next step is selecting the volume of liquid that must be dispensed. When analyzing liquid volume requirements, its important to consider the size of the pipette and the level of precision on the pipette offer. There are some systems that offer pinpoint precision for fractional liquid measurement and other systems designed for more general liquid handling purpose that can help complete pipetting work with a focus on time-efficiency. Remember that liquid handling accuracy decreases when using large size pipettes for small volume requirements. And so you might consider micropipette products for applications in which accuracy is the most important application factor. What is the correct pipette for me? Choosing the perfect pipette for you takes some work, as in you’re going to have to answer a couple of questions to get to the right one for you. To narrow down the choices, it is important that you take these factors into consideration before taking the leap and purchasing one. 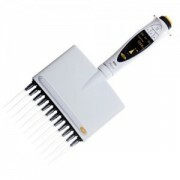 Take advantage of Pipette.com’s extensive pipette portfolio and promotions. If you need further assistance, contact the Pipette.com Team at 800-243-3232 or info[at]pipette.com.